London's first wheel was constructed in 1895, at Earls' Court, and was known as The Great Wheel. Measuring 94 metres, in height, and 82.3 metres, in diameter, its 40 cars, which each held 40 passengers at a time, carried some 2.5 million passengers, before it was demolished in 1907. Constructed in sections, to a design by Julia Barfield and David Marks, the MillenniuM Wheel was built by Hollandia (steelwork), Tilbury Douglas (civil contractor), Poma (capsules and cables) and FAG/Schaeffler Group (bearings). All of this was supervised by Mace, who acted as construction management. Formally opened by Prime Minister Tony Blair, on December 31, 1999, it wouldn't open to fare paying passengers until March 9, 2000. It stands at a height of 135 metres, has a wheel diameter of 120 metres and has 32 capsules. Each capsule weighs 10-tonne, can accommodate 25 passengers, and rotates at a speed of 26cm per second. 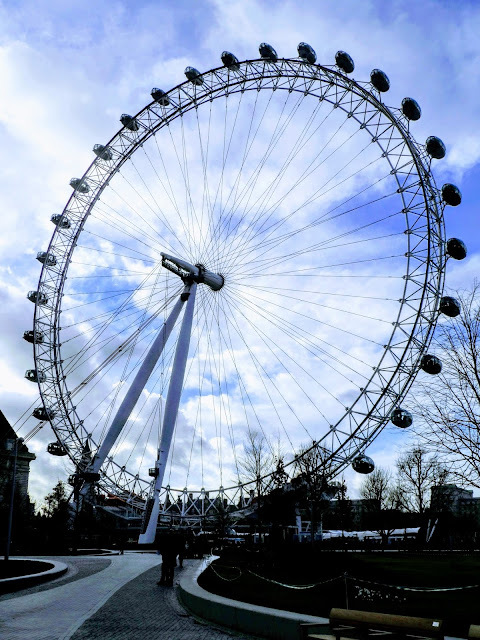 The MillenniuM Wheel is now known as the London Eye. A flight lasts roughly 30 minutes.